I have a usb controller which supports force feedback, the project64 recognises it as DX generic usb controller. how do i get force feedback to function? on force feedback its appears to be disabled. Did you installed the device driver for your USB cotroller? 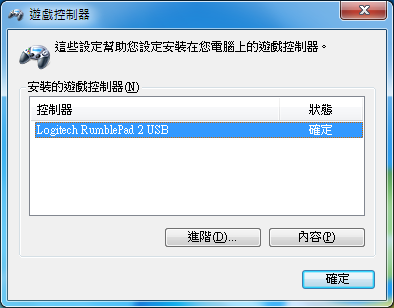 You should have a disk or CDROM contain the device driver for your USB controller. After installed the device driver, you should be able to test the fore feedback at control panel as picture below. Most USB device drivers are user mode and can be used for XP and Window 7. I tried your Input Plugin. Its very simple to use and i like the design. But i am only try it, because i am testing the force feedback function by the input plugins in PJ64. So i found yours yet. My problem is, that jabos Plugin gives me a constant never ending force Feedback, if i am starting Zelda OoT or other games and set rumblepak. That's not, what i want. And if i go fishing the man told me, sade but i haven't a rumblepak. Funny, because it vibrating constantly at this time in my hand. This seems a structur Problem in jabos plugin and PJ64, if i believe the PJ64 Faq. So i am testing nrage plugin in different versions v1.82a to v2.3c and latest v2.4x under different PJ64 Versions from v1.6 to v2.2. In the Plugin Dialog menu i can test the rumble function for constant and rampe force feedback and it gives me a vibration feedback on my gamepad. It seems al ok. The plugin can controll the motors. The DirectX FFconst.exe gives me a positive feedback too. The Drivers are correct installed. But by gameplay with nrage plugin nothing happens too. Only the visual Rumbelpack in nrage will be shown in window mode and if i go fishing by Hylia Lake the man told me, i have a rumble pak and i could feel it now. So i am testing your plugin under PJ64 v1.6 and it gives me a feedback under plugin dialog but the game says again like jabos plugin, i haven't a rumblepak. That's could be correct, because you write here, that your plugin ff supported only by v1.7 and below. So i am testing PJ64 v2.1 and 2.2 with your plugin! Yes, the man says now, i have rumblepak under later PJ64 Versions. But it is the same like nrage. Nothing happens. No reaction by gamepad. But the test under the plugin Dialog is positiv. I am using WinXP but that can't be the reason. My gamePad is VRMS 2500. 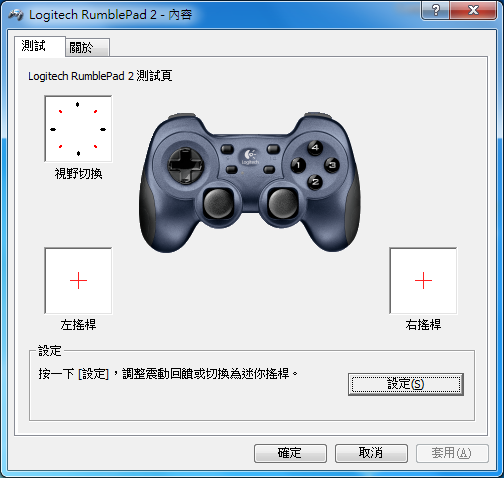 Called motion sensing game pad or by older driver vrms FF gamepad. So what is the problem? And what can i do? Last edited by ATLAN; 4th April 2015 at 05:44 PM. Forget it. After deinstallation of all drivers and reinstall gamepad driver, it works now. How come clicking the attachment brings up a 1x1 attachment.php image? Other attachments in different threads correctly prompt a file. Well, it's called a pixel, and they get re-uploaded by a lot of people who claim work as their own. Get the pixel copyright permissions from ExtremeDude2 so that the attachments will reactivate. what's the actual copyright/intellectual property disagreement here? or is this just an attempt at online bullying?